Tell us about your journey into the intelligent tech industry. What galvanized you to join Verint? I was drawn to technology over 20 years ago when I started with cabling and switching. Watching the evolution of information, data, and applications I was always drawn to emerging markets and companies. Over a decade ago I started with Next IT, a trailblazing organization that was already successfully deploying AI into enterprise companies. When Next IT began to engage in strategic partnership discussions, Verint was the clear choice for our customers and employees. The reason is simple: Verint was the only company that shared the same philosophy and commitment to driving business value and outcomes. The past year with Verint has only reaffirmed the strength of that commitment, and we look forward to the future of driving actionable intelligence with automation for every enterprise company. 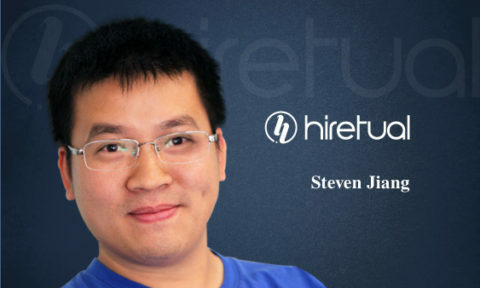 What does it take to start and succeed in a Deep Learning HR Tech start-up ecosystem? One of the biggest misconceptions in business AI right now is the need for academic expertise. Enterprises feel like they need to hire PhDs in order to have a robust and competitive AI strategy. Our success and experience has run a bit counter to that way of thinking. What we’ve found is that success comes from knowing where to apply research skills and where to apply practical implementation skills. Most AI doesn’t need to reinvent the wheel. It needs to build on what already exists and serve specific business needs. How do you prepare for an AI-driven world as a technology leader? We’re at a really interesting inflection point right now with AI. As we’ve become increasingly more reliant on it, we’ve begun to bump against the limitations of the technology. We’re starting to see where AI still falls short of achieving its potential. With this in mind, preparation, on the one hand, is about solving these very practical problems that AI is still experiencing. In the big picture, this demonstrates that even as AI leaders, we’re still discovering how best to share and utilize data across channels and sources to make AI as robust and responsive as possible. How is the role of product strategists in AI-based HR different from that of a Data Officer/ Data Scientist? As a product strategist myself, I would say that we’re focused on specific solutions and outcomes. Business bottom lines are our top priority. That applies to the data as well, of course, but data officers are more focused on achieving data integrity. To illustrate with a metaphor: we’re creating the car, and they are providing the fuel. Our work goes hand in hand, and we’re certainly all working towards the same goals, but we play different roles in creating those solutions. A lot of the focus and emphasis has been on how AI will either alleviate daily tasks or accelerate our ability to accomplish those tasks. While those will certainly be outcomes, I think the most interesting impact that AI will have on human intelligence is how it might impact the way that we think, what we see as possible, and how we solve some of humanity’s most pressing problems. We don’t believe in technology in search of a problem. Our solutions always map back to concrete business challenges and help organizations achieve their goals. 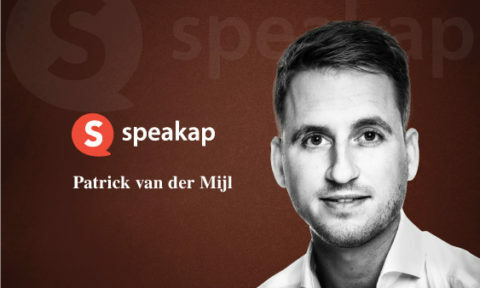 With this mentality, we enable businesses to provide better customer service and empower their employees and customers alike to find the solutions that they need. Which AI technologies are most likely to impact the HR and recruitment platforms? In HR and recruitment specifically, I think the biggest challenge the industry faces right now is in counteracting biases that have been unconsciously programmed into our AI systems. AI offers an opportunity for us to look at hiring and recruitment much more objectively, but we have to be very conscious of the way we are writing these programs and the biases we may be putting in place. If we can move beyond that, we reach a fairer and equitable merit-based system that can still account for diversity and the “X factor” of individuals while (hopefully) challenging the ingrained preconceptions we may have. How do you see emerging technologies — like the Internet of Things (IoT), Robotics and Cloud Computing – coming together with AI/ML to enhance the ROI in traditional HR companies? When it comes to technology, businesses need to realize that these systems are all more connected than they first appear. By which I mean, enterprises shouldn’t be imbalanced in their tech investing. IoT has its role to play in cloud computing, which can benefit your AI strategy. If you attempt to keep these technologies siloed or only invest in one branch, you’re actually minimizing your opportunities to innovate in other areas. What are your top predictions and must-watch AI/ML-related technologies for 2018-2022? How much of these technologies would be influenced by the socio-economic trends? Every business needs to be developing their AI capabilities and those that aren’t are already dangerously behind. My prediction is that AI will essentially become IT. It will be a necessary component of your business, just as ingrained but perhaps even more powerful than IT. Of course, for each business that implementation looks different. Deciding where and how to adopt AI solutions should always be dictated by the underlying business needs at play. To this point, my prediction is less about the technology and more about our relationship to the technology. If you’re not training your employees on how to work with AI, you’re doing them a disservice. Despite all the scary articles out there about AI taking jobs, the human and automated workforces don’t actually need to be in conflict. In fact, they should be collaborating. Our AI research program is focused on applied AI, developing and perfecting Machine Learning technologies for training conversational AI systems like IVAs to respond more accurately and efficiently, for both businesses and their customers. We’ve been developing our Machine Learning technology and algorithms for over 15 years, and we’ve evolved some of the most advanced ML capabilities available. We use proprietary Machine Learning tools, built in-house, to efficiently create, train, maintain, and constantly improve our customers’ solutions. Just as our machine-learning capabilities have evolved in their complexity, so too have our tools grown more powerful, allowing us to quickly and accurately deploy the most robust IVAs in the enterprise. For our researchers and our product-development teams, intelligence is about more than automation. Intelligence is actual learning. It is iterative and constantly evolving. To be intelligent, machines need human input at various junctures of the learning process even as these processes are increasingly automated. What’s the “Good, the Bad, and the Ugly’ about AI? How do you prepare for these situations at Verint? The Good is that businesses are more open to AI and its capabilities than ever before. They’re also truly beginning to understand how AI can best be applied in ways that help solve their business challenges and empower their workforce. At the same time, technology is improving all the time. It’s continually reaching new levels, which allows businesses to better serve their customers. The Bad is that even though the technology is so new, businesses already have scar tissue from failed implementations. Unfortunately, amid all the AI hype, some vendors try to get away with selling technology that isn’t actually transformative… because, their AI doesn’t map back to real business questions, it leaves some enterprises with the impression that AI isn’t right for their needs. The Ugly is the same phenomena but from the AI-provider’s perspective. Sadly, we’ve seen big promises from startups — and even major corporations — about how transformative AI can be. Not nearly enough has been said about how important it is to set clear goals and expectations and how to apply AI. Misleading characterizations about AI’s capabilities and potential and implementations that fail to meaningfully contribute to customer success give us all a bad name. AI is first and foremost a tool, and I believe that it can be applied to address any number of pressing issues that face humanity, from climate change to healthcare, to even more equitable social structures. At this point, humans remain in control of the acts performed at scale by AI — so it is on us to ensure that its power is being used for good. Thank you, Tracy! That was fun and hope to see you back on TecHR soon. 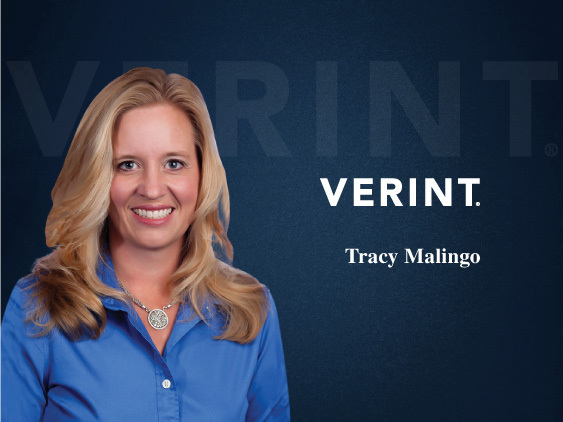 Tracy Malingo is Senior VP of Product Strategy of Verint Intelligent Self-Service, a division of Verint, where she provides strategic and operational vision on the company’s extensive and innovative conversational AI-suite. 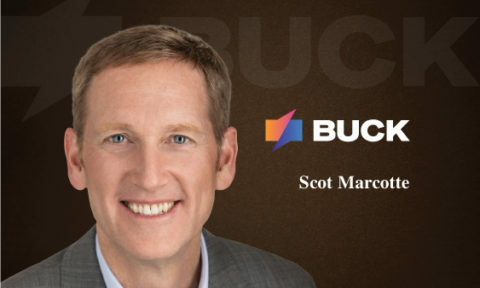 Tracy believes in delivering intelligent solutions to customers and employees so they can build trusted relationships and unlock value together. Previously, Tracy was president of Next IT, the provider of conversational AI for the enterprise, where she guided conversational AI into the mainstream. Tracy’s compelling blend of business acumen and technical expertise enables her to relate to all elements of the industry and articulate the need for machine intelligence throughout an organization. Verint is a customer engagement company. They organizations simplify and modernize customer engagement through their market-leading cloud and hybrid solutions. In fact, Verint has one of the broadest portfolios of customer engagement solutions available today. They leverage the latest in artificial intelligence and advanced analytics technology to help customers unlock the potential of automation and intelligence to drive real business impact across your organization. Today, over 10,000 organizations in more than 180 countries, including over 80 percent of the Fortune 100, use Verint solutions to optimize customer engagement and make the world a safer place.